Yesterday we covered the easiest sale you’ll ever make. And while it doesn’t get much more simple than selling to current customers, today we’ll discuss what might be the second easiest sale to make: referrals. Think about it: People buy from those sellers they know, like and trust. Your customer who tells his friends about you knows, likes and trusts you. And because your customer has spoken highly of you to his friend, that friend is likely to feel favorably toward your brand. In his mind, you are not likely in the suspect category of “just another salesman.” You most likely already have a distinct advantage. Are you beginning to see how this advantage can translate to more sales for you? It can. And email marketing can help you. Today we’ll show you how. Let’s talk about how email marketing will not help you get referrals. If you have not delivered as you promised, if you have not provided solid products and great customer service, sending an email to your customers asking for referrals will not help you — it may even harm the relationship even further. If a company you bought from did a poor job and left a bad taste in your mouth and then had the audacity to ask for more business, would you send your friends to it? Of course not. Your customers feel the same way. Of course not. Your customers feel the same way. You need to earn the right to ask your customers for referrals. 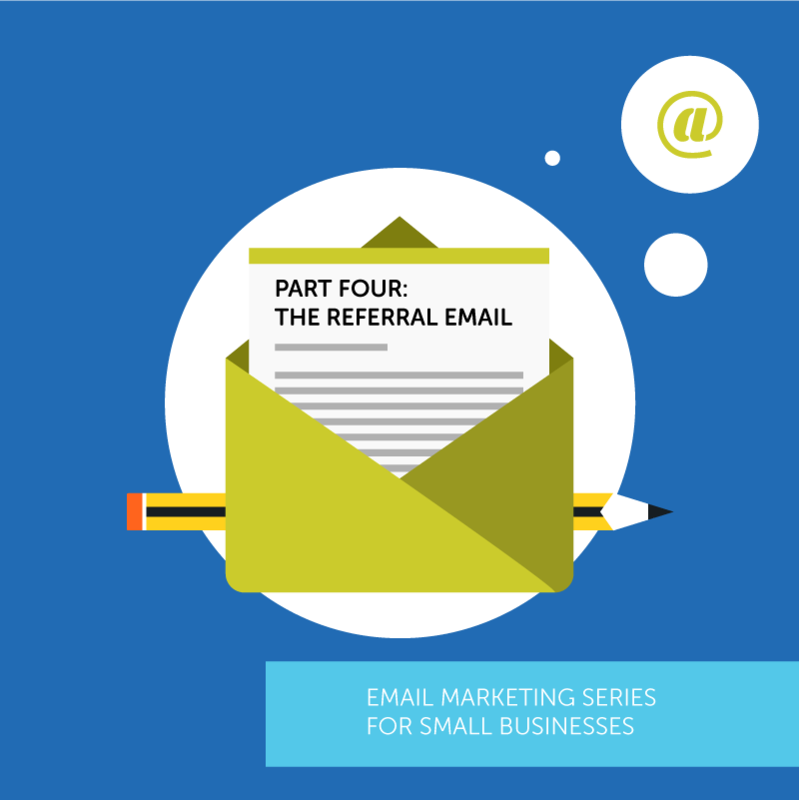 Once you’ve earned that right, what might your referral-seeking email look like? Glad you asked! Thanks again for trusting us with your web design project and your content marketing efforts – we’re so happy you’re part of the Rocket Marketing family. If you are connected to anyone who might benefit from a website redesign or content marketing help, we’d love to offer them a free consultation – and would love to offer you some extra cash! We have a great referral program that pays $100 for every customer you refer. It’s been so fun working with you and your team – please let us know if you have a colleague or connection we can assist! Notice a couple of things about this email: First, the subject line. It is designed to make the reader curious, and it shows a very desirable benefit. Even when you’re sending an email to a customer who knows and trusts you, you want your subject line to stand out. In the body of the email, we are thanking Scott again for their business. You don’t ever want your customers to feel unappreciated. So thank them often for buying from you. It’s been said that sales success is boosted by getting “Yes” answers to a series of questions. So make it easy for your customers to say yes by making sure they’ve had a great experience, enticing them with a great incentive, and making it simple for them to follow-through. Again, effective referral gathering is a powerful marketing and sales strategy. And when you succeed at it, you are going to have a lot of new leads you need to nurture.